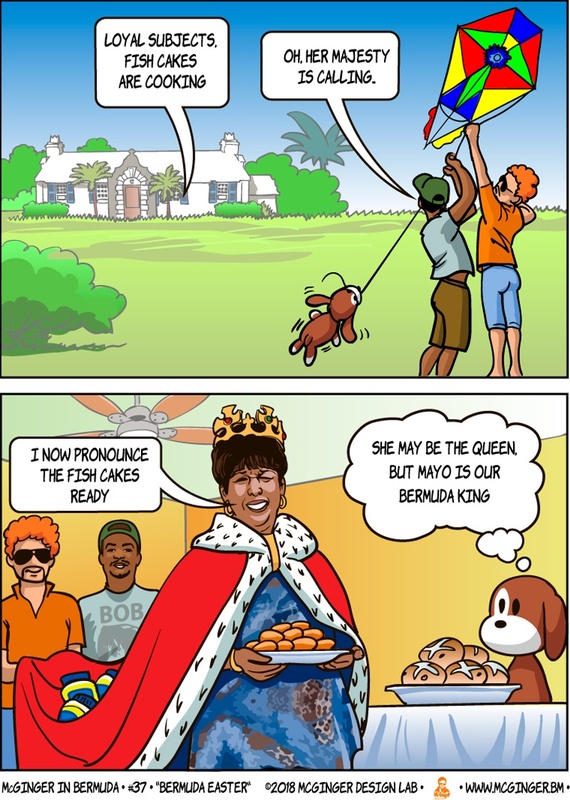 In the fourth of a new comic series from McGinger Design Lab, McGinger notes that McGinger, Lobsterman and Doggie are celebrating Easter in Bermuda style. They fly a kite and eat fish cakes on hot cross ban with lots of mayo. Happy Easter to everyone from McGinger Design Lab!